As April 15th approaches and many are stressed and worried about filing their taxes to the IRS. 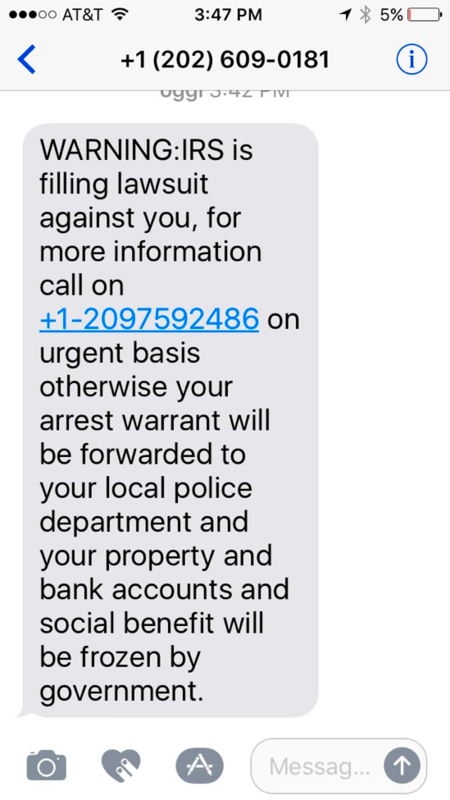 Although many people take this time of the year seriously, there are people who see this as a way to scam people out of money. 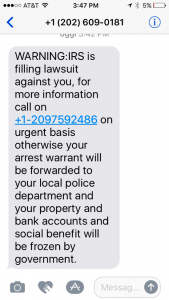 It usually starts with a random phone call from a person claiming to work for the IRS and telling you that you owe a lump some of money to them. They continue to tell you of the serious consequences of not providing them the payment that is owed immediately, either in a threatening way or in a calm manner. They then will either require a prepaid debit card or wire transfer over the phone. You pay over the phone then later realizing that it was a scam call, by checking your account and the money being gone and the IRS having no record of this payment. This scenario also applies to supposedly IRS emails, text messages, and social media platforms. How do we combat this serious problem? 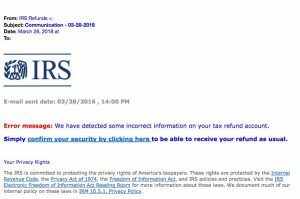 1) The IRS WILL NEVER call or email you regarding money owed without sending a bill in the mail. 2) NEVER give out your personal information over the phone. 3) Get as much information as you can from the caller: badge number, call back number, name, etc. 2) Do not open attachments/links, because it may contain viruses that infect your computer or phone. a) Forward the text as-is: 202-552-1226; standard text rates apply. Send a separate text with the fraudulent number to the same number in bold. Then delete the original text. 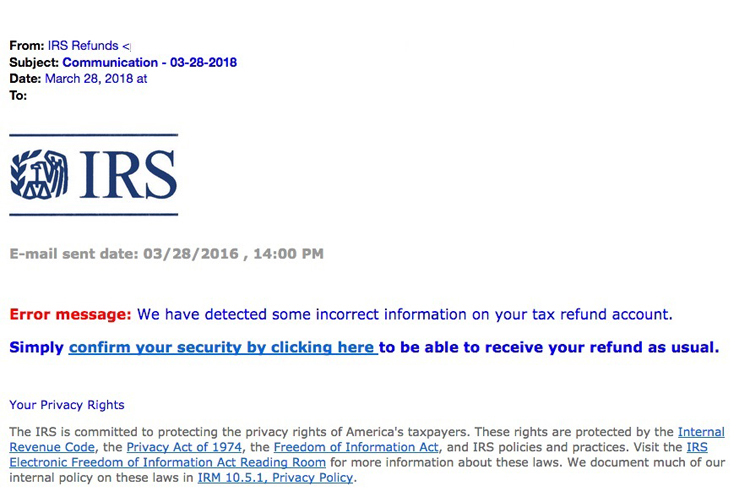 b) Forward the suspicious email claiming to be from the IRS as-is to: reportphishing@antiphishing.org.